Situated on the western coast of Albania, along the Adriatic Sea, is the port city of Durrës. This destination, home to over 113,000 residents, serves as the main port of the country. Durrës offers you magnificent historic ruins, gorgeous beaches and wonderful opportunities for outdoor activities. Attractions include the Durrës Amphitheatre, Durrës Archaeological Museum and LivingAlbania City Tours. Get ready to discover another facet of Albanian culture, because cheap flights to Durrës are now available for a limited time! Durrës is served by Tirana International Airport (TIA), which is a 30-minute drive from the centre of the city. Durrës is one of the oldest cities in Albania, founded in 627 BC. 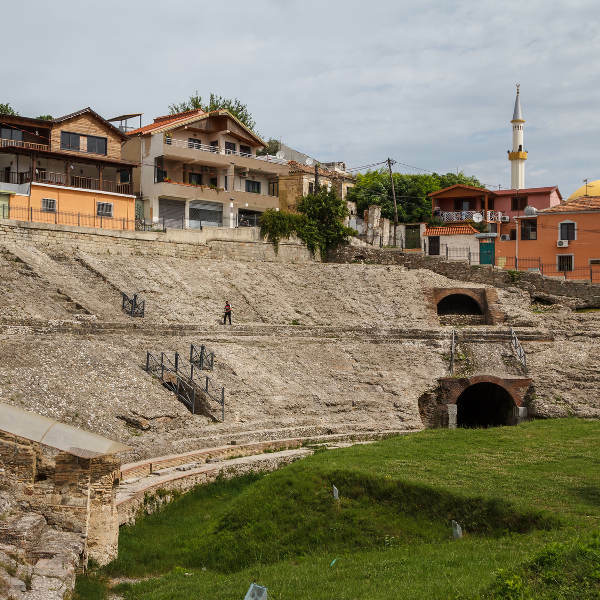 Explore remnants of this destination’s past with tours to many historic attractions, such as the Venetian Tower, the ruins of St. Anthony Church, and Durrës Amphitheatre. The Beach of Durrës is Albania’s biggest and most-visited beach. Other beautiful stretches of coastline include Copacabana Beach and Kallm Beach. Spend hours on these appealing beaches on the days when you’re simply looking to relax and soak up the sun. The coastal location of Durrës offers more to appeal to travellers, with wonderful opportunities for thrilling water sports! Take advantage of these adventures out on the waters of the Adriatic Sea when you’re longing to feel an exhilarating adrenaline rush! Summer (June – August) is the most popular time to visit Durrës, due to high temperatures and low rainfall. 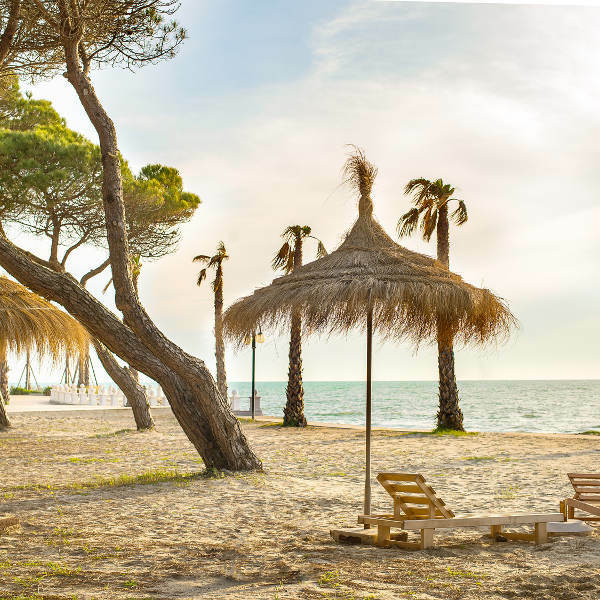 Tourist crowds flock to the beaches during these months, with accommodation and flight rates reaching their highest, and availability at hotels dropping. To ensure you get the opportunity to enjoy Durrës during this period, make sure to book your flight and accommodation well in advance. To avoid the crowds, visit Durrës towards the beginning of May (late spring) and towards the end of September (early autumn). The rainfall is still low around these months and you can enjoy quieter periods, with crowds still to arrive in late-May and most visitors having departed Durrës by mid-September. Additionally, accommodation rates will have dropped, ensuring you more options when it comes to booking a hotel room. Rainfall increases greatly from October, and this peak usually lasts until April. The cheapest time to fly to Durrës, and when accommodation rates are at their lowest, is between the months of November and February (winter). Durrës, historically known as Epidamnos and Dyrrachium, is the main port of Albania, sitting on the country’s west coast along the Adriatic Sea. The coastal location of this destination not only provides a vibrant port, but also scenic beaches such as the Beach of Durrës (the biggest and most popular beach in Albania), Copacabana Beach and Kallm Beach. 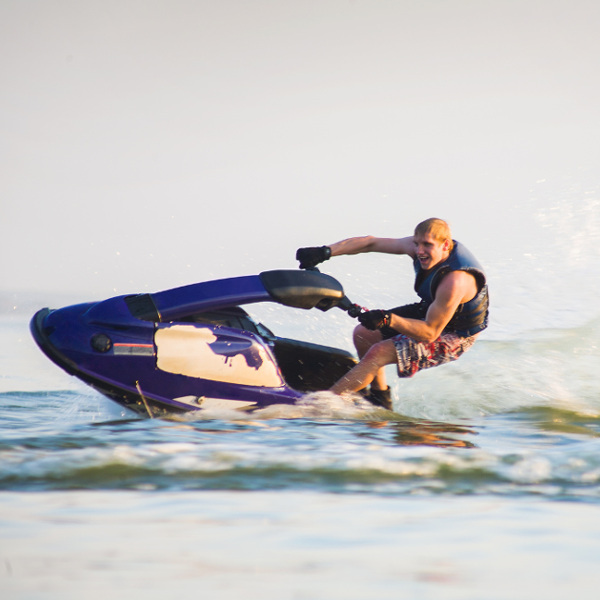 In the summer, soak up the sun, have a refreshing splash in the waters of the Adriatic Sea, or enjoy thrilling activities, with a variety of water sport opportunities. Durrës lives up to Europe’s reputation for history with a number of historic sites, ruins and architecture in and around the city. These include the large Roman Durrës Amphitheatre, Byzantine Forum and the Royal Villa of Durrës (the summer home of the former King Zog). Step back in time with an exploration of all these historic attractions. When you’re done touring the city, spend some time satisfying your appetite at the many eateries situated along the coast. Relax with a drink in hand as you enjoy the sun setting on the horizon of the Adriatic Sea. In the evenings, treat yourself to a good time as Durrës’s nightlife comes to life at numerous bars and nightclubs. Compare several airlines and book your cheap flights to Durrës online at Travelstart! There have been reports of corruption in the police force in Durrës. If you are using a car when exploring, make sure to avoid parking it illegally to avoid any unnecessary trouble. Should you have any reason to visit a police station, ensure that you do not show large amounts of money to avoid being becoming a target for a bribe. Some of the bars around Durrës have a reputation for being the gathering places of criminals. Always check all the available information on these establishments before you visit.